Gatestone: In Turkey Tens of Thousands Prosecuted for “Insulting” Erdoğan…….. – The Tundra Tabloids……. 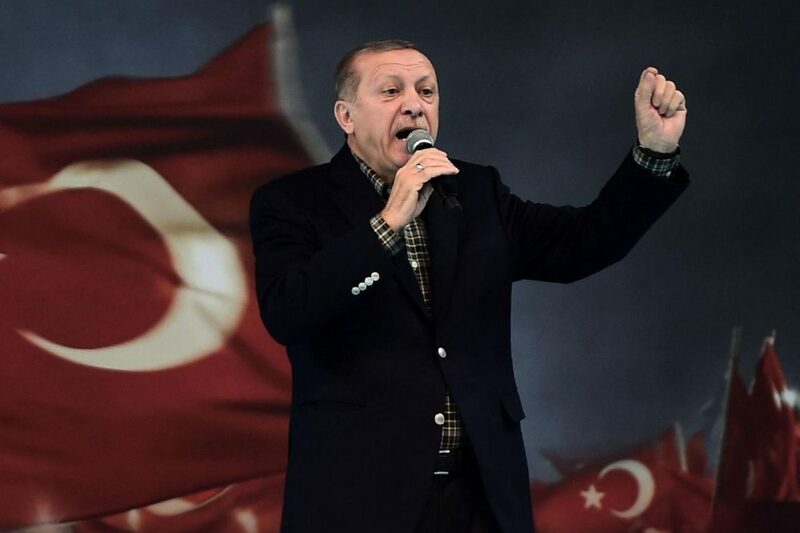 Gatestone: In Turkey Tens of Thousands Prosecuted for “Insulting” Erdoğan…….. This is what’s becoming normalized in the West. Since Turkish President Recep Tayyip Erdoğan’s 2014 election, there have been 66,691 “insult investigations” launched, resulting in 12,305 trials thus far, and the “numbers are increasing.” — Yaman Akdeniz, professor of law, Istanbul Bilgi University. Meanwhile, as Erdoğan continues playing a double game with the West, as part of his decades-long bid to become a member of the European Union. That plan may well be why his justice minister announced in December that he would be unveiling a new strategy for judicial reform. The EU should not fall for this transparent ploy. Instead, it should be demanding that the Turkish government cease prosecuting innocent people — including those whose only “crime” is criticizing Erdoğan. Next Post Next Post Daniel Greenfield: Media once again falsely conflates neo-nazis and critics of Islam……..